Welcome to Anarchy.Website, a site built as a ‘blog’ and archive by Una J. Ada (a.k.a. @trewbot) for hosting their written content. While the name of the site implies a focus on anarchism, no such restriction exists, with much of the content here being comedic fiction or notes from classes. Figure 1. The Goth Angel Sinners podcast title card. Goth Angel Sinners (abbr: 🥀👼🗡) is a podcast about anarchy, anarchists, and anarchism; hosted by Una “Trewbot” Ada, Chloe (Χλόη) Ross, and Leland (@whimworm). The podcast is currently hosted on anchor.fm. Episodes of the podcast (called “parts”) are meant to be released regularly on every Sextidi; though no such regularity has been achieved as of yet, with parts being released upon their completion. An original concept for a podcast was proposed circa August 2017, leading to the creation of a Twitter group chat on the 18th wherein the title “Not the Feds” (NTF) was decided on; this title was based on a joke about the concept for the podcast: to let anyone of left leaning politics join in to whatever episode if they desired to simply “be on a podcast at some point.” This initial group made some attempt to produce a first episode, then intended to discuss the upcoming Catalan independence referendum, but due to scheduling issue was delayed. That delay would in time turn into an extended hiatus and the near death of the project. Nearly a year later, on July 9, 2018, the podcast Neighbor Science (then hosted by Ryan Salisbury and Pieter de Beer) hosted a “Bloc Party” to explain what the titular concept of the podcast meant, having on two guests to aid in the task: Trewbot and Chloe (Χλόη). After this special, Trew and Chloe decided the whole thing would have been better with just the two of them, thus revitalizing the concept of a podcast (co-)hosted by the former. This new podcast was built on the framework of NTF (namely by simply renaming the existing Twitter account), but needed a new name to fit with the new direction. 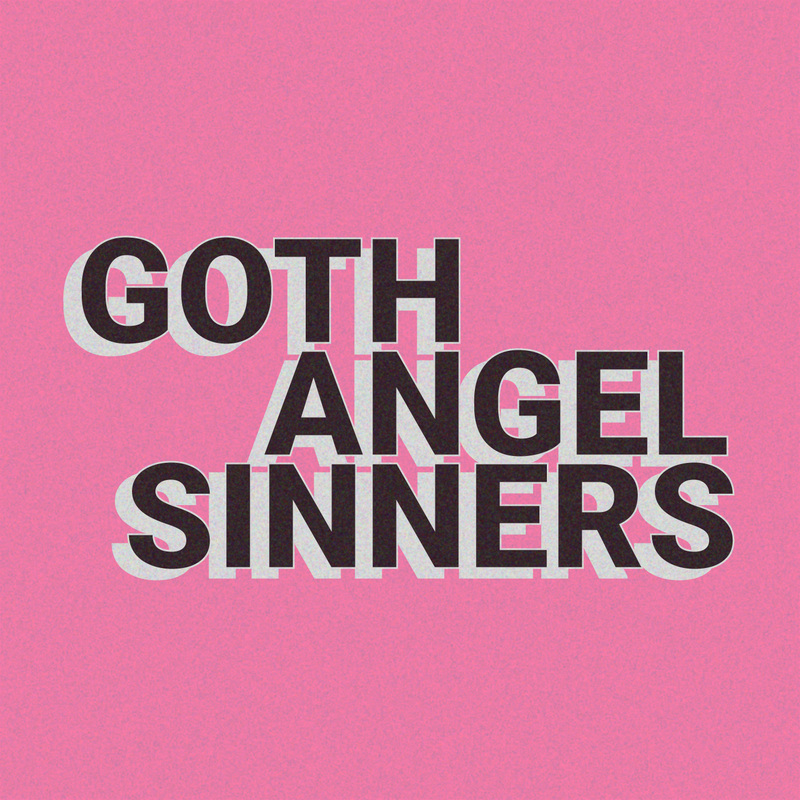 After some brainstorming, the two agreed on the name “Goth Angel Sinners,” a pluralized reference to the unreleased project by the late Lil Peep (RIP Lil Peep). The third episode (Part III: Spiderman 3) saw the introduction of a third co-host, Leland (@whimworm), who had collaborated with Trewbot on past projects, e.g. the “Monthly Screenplays” with @punished_picnic (f.k.a. @ruined_picnic) available from “The Picnic Archive”.